So, you want to set up a home studio. You want to start producing music. Where do you start? There are so many things to spend your money on, it can feel overwhelming! The truth is, you just want to start making music. So, we’re going to give you the definitive list of hardware that you need to make music now. I won’t lie. You’ll need some cash saved up to build a basic home studio. However, it doesn’t need to be thousands of dollars. You can start off by spending well under $1,000, especially if you already own a computer. For this guide, I will not be listing the absolute top-of-the line microphones, interfaces, etc. These pieces of gear can quickly run into the tens of thousands of dollars range. 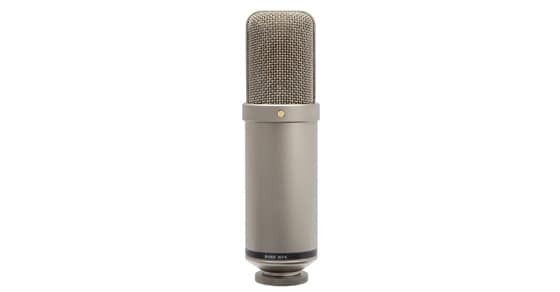 For example, one of my favorite microphones, the Neumann M149 starts at around $5,000. Obviously, this is not affordable for the beginner home studio owner and completely unnecessary. 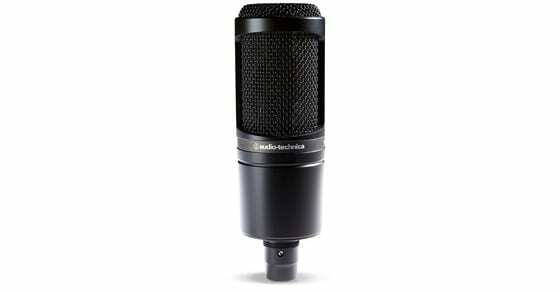 There are many, many affordable condenser microphones that will sound professional without breaking the bank. This guide will focus on the top hardware available for each essential piece of gear for your studio with a focus on affordability and quality. By far the most expensive piece of your home studio, you computer is the backbone of your setup. Sure, there is equipment like the Zoom R16 which records directly onto the hardware without using a computer, but this technology’s capabilities are limited. To produce, record, and mix your music at a professional level, you need a good quality computer. These days, all you need is a laptop, which is awesome. It is 100% possible to record onto both Mac and Windows operating systems. Choose whichever you are most comfortable with. You should know, however, that the operating system you choose will ultimately affect your choice of DAW too (recording software). If you are accustomed to using Logic or GarageBand, you need to get a Mac to continue using it. Pro Tools is available on both. FL Studios is made for PCs. Whichever you choose, here are some good options to consider. MacBooks seem to have become a favorite among many creators. They are powerful, easy to use, quality, and upgradable. If you want to upgrade it yourself, you need to get the 2011 series. 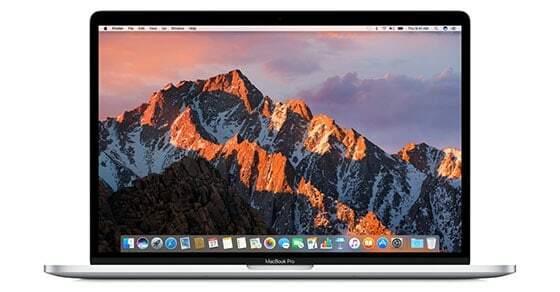 Make sure your MacBook is running at least Intel Core Duo, although it is strongly preferable to have an i5 processor or better. You’ll need at least 8 GB of RAM. Your memory isn’t as important, but it’s nice to have at least 500 GB. This laptop is designed for music production and gets the job done nicely. It’s got an i7 processor and comes stock with 8 GB of RAM. It’s very portable, but at 15 inches, the screen is still a very usable size. 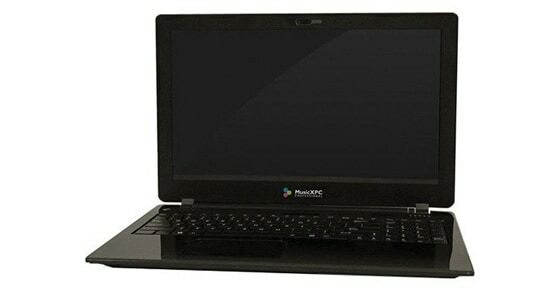 These are quality, durable laptops. The HP Envy 15 is another laptop that can handle some serious music making. 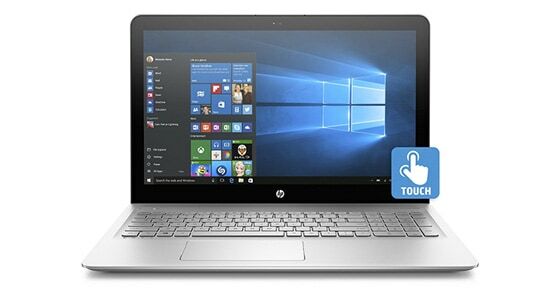 It has features that include a brilliant FHD display, Audio by Bang & Olufsen and HP Audio Boost technology with memory up to 12GB RAM. It also comes with the latest, greatest Intel processor and 1 TB of memory. These are just a few of the computers you should look at. There are many computers these days that can get the job done. I strongly recommend you get something with an i5 processor or better and at least 8 GB of RAM. All of your music gets recorded onto your DAW. You DAW is the canvas upon which you make songs. There are many great DAWs to get you started, and some of them are even free. There are a few things to take into consideration when choosing a DAW. If you’ve been making music for a few years and working with a basic DAW, it may be time to move into a more professional setup. However, if you’re a beginner who has never recorded music before, you may not want to jump into professional DAWs right away. Software like Pro Tools is very powerful and very complicated. There are entire schools dedicated to using it – kind of like graphic design software. It may not be necessary to get into that level of complexity right now. DAWs range in price from $0 to $3,000+ for a Pro Tools HD rig. Generally you get what you pay for. However, the difference between a $300 DAW like Logic Pro X and a $1,000 DAW like Pro Tools is not huge. It’s important to think about the future when you’re choosing a DAW. 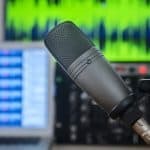 If you’re quite serious about recording music, you may want to consider saving up a few hundred dollars and investing in a better system. Some DAWs are designed to be used for live performance. Easy MIDI integration, control surface compatibility, and VST instrument usage is important for live performance. You can pretty much use any DAW live, but some are better than others. Now that you know what to look for in a DAW, let’s take a look at the best options available. For those on a budget, here a couple of DAWs that will do the trick. My top pick would be GarageBand. Of course, it’s only available for Macs. GarageBand is great because its interface is incredibly easy to use. You can use many of the same plug-ins and feature as with Logic and other paid DAWs, it’s just slightly more inconvenient. They traded power for ease-of-use, and it pays off for beginners. GarageBand also makes it easy to step into Logic Pro X, which is software that many professionals are now using. Next up would be Reaper. It’s lost some popularity as new DAWs continue to enter the market, but it’s free for the first 60 days, making it valuable for beginners. It’s a very versatile and powerful DAW. The software is open source and it is updated once every couple of weeks for bug fixes and improvements to the software. If you’re going to pay for a DAW, you might as well make it Pro Tools or Logic Pro X. This may be a controversial opinion, but I haven’t met very many professionals that use anything but these two options. Logic is perfect for the artist that wants to make music and have a powerful DAW. Its user interface is inspiring and easy to step into if you’ve used GarageBand. I found Logic to be a great tool for making demos and writing music. It has built-in features like an automated drummer that really streamlines the production process. The built-in plugins are excellent for the most part, and they’re great tools for learning how to use more professional, expensive plugins. At just $279.99, this DAW is absolutely my top pick for the average artist or audio geek just getting themselves into the art of audio. Pro Tools is for artists and audio professionals looking to make a career. Pro Tools is the industry standard for a reason. I recently switched from Logic to Pro Tools and I will never go back. 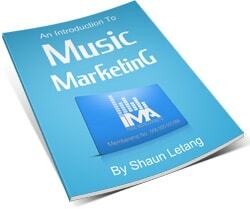 The editing is powerful and intuitive, everything about it is designed for music creation. Pro Tools has very powerful cloud collaboration features, and because most industry professionals use Pro Tools, this is very useful. The biggest advantage of using Pro Tools is the fact that you’ll be proficient in almost every studio in the world if you’re a proficient Pro Tools user. Pro Tools is expensive, but they offer a subscription program that can be relatively affordable. Ultimately, it’s probably better to own the software, but hey, you may not be able to afford the $1,000 price tag (I couldn’t)! The subscription model works just fine and it’s great if you want to try Pro Tools for a few months without the major investment. When it comes to live performance, nothing touches Ableton Live. It’s got all the same capabilities as Logic and Pro Tools, but with MIDI integration unlike any other piece of software. Many brands have partnered specifically with Ableton to make hardware that meshes perfectly with the software. Most artists utilizing MIDI in live situations are using Ableton. Ableton is also an expensive software. You can get a free trial, but when it comes to upgrading you’re looking at a starting price of $1,000. An audio interface is the connection that brings your studio to life. Some people have never heard or thought about interfaces. Basically, the interface is what the instrument or mic goes into. Modern interfaces are all digital, and to some extent they are all the same. However, there is a decided difference when you jump slightly more expensive options. Audio interfaces will run you anywhere from $70 to $2000+. They get more expensive with better preamps and additional inputs. You’ll also spend more on a thunderbolt interface than a more popular USB interface. 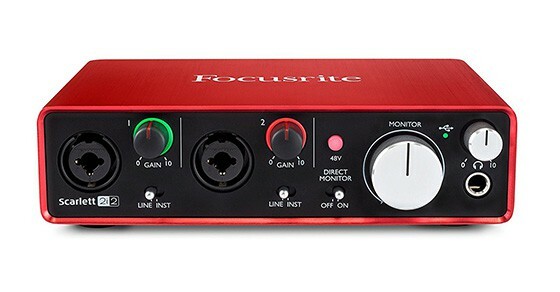 Focusrite has a great reputation in the audio industry. Their interfaces come in a variety of levels and price ranges. 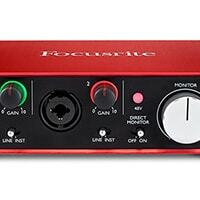 The FocusRite Scarlett 2i2 has only two inputs and outputs, but for many artists that’s all they need. It comes in at a very reasonable $200, and sounds great. If you need more inputs, you can upgrade to a more advanced model with more inputs. I’m a little biased, because this is my interface, but I am blown away by it. 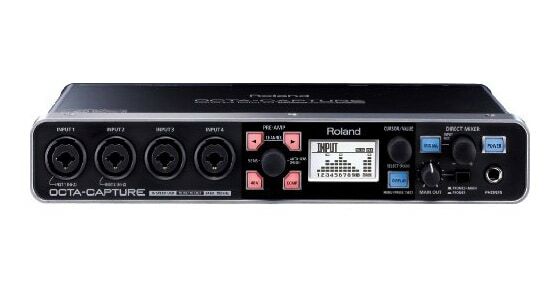 The Roland OCTA-CAPTURE has 16 (yes you read that right) inputs and eight outputs. Four monitor mixes and the best preamps I’ve heard on an interface in this price range. They start at around $800, which is killer value. If you can’t afford the full 16 channel version, opt for the 8 inputs version. Having something to listen to your music on is super important. You need quality monitors, headphones or both. Not just any monitors will do – they need to be headphones designed for studio work. They should be flat, honest speakers. Monitors are better than headphones, because headphones distort the pitches you’re hearing and are less reliable for technical work. However, they are less expensive and easier to set up, so for many artists they work just fine. The following headphones deliver quality sound, aren’t too expensive, and will last you a long time. These Sennheiser headphones are found in studios around the world for good reason. They are honest, flat sounding headphones that come in at a great price and will last you forever. They have passive noise attenuation that means a slightly tighter fit. They come in at around $100. It’s hard to find better headphones for this price. 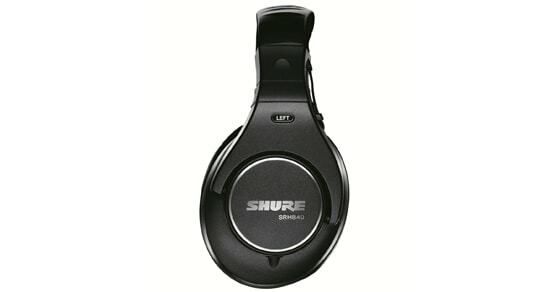 This model of Shure headphones was a huge hit among home studio owners. They have a great balance and are great for both tracking and mixing. The ear pads are super comfortable and replaceable. These headphones will last you a long time, and come in at an affordable $200. 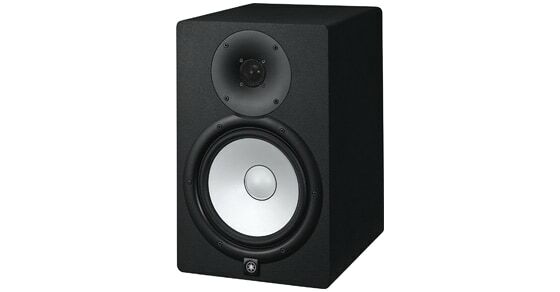 Studio monitors are an essential part of a home studio setup; however, they are contentious pieces of hardware. Everyone likes different speakers, because they all sound slightly different. Generally, you should be looking for a nice flat response and speakers that fit your room. You’re not going to get a “true” bass response in speakers under 7”, but for most small home studios, small speakers will be much better. The Yamaha HS series is supposed to imitate the famous Yamaha NS10 models that so many studios use. 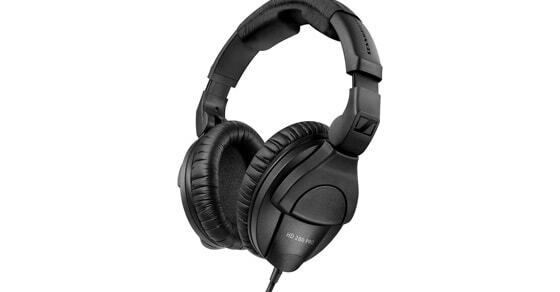 They have a flat sound and the HS8 are supposed to go down to 38hz – perfect for mixing bass. What’s great about the Yamaha HS series is the varying models. They are all essentially the same, except the woofer size changes. The HS5s have a five-inch woofer and is much more suited for the average home studio, while maintaining the same quality as the HS8s. 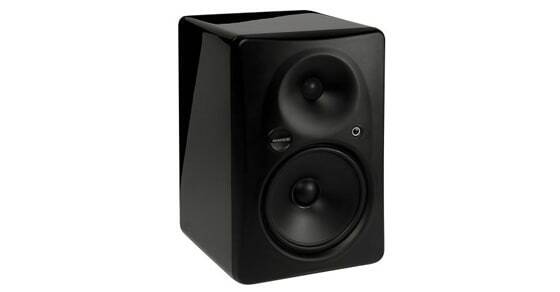 As with most affordable monitors they are two-way (essentially meaning the mid-range is split between woofer and tweeter) but these don’t lack anything in mid-range response. The Yamaha HS series starts at $200/speaker. The top end HS8 come in at $349/speaker. These are hugely popular mid-range monitors. They sound great. The bass extension on these speakers is true and impressive. However, most home studios are in small rooms and your monitors will end up in corners. This means that you will be getting a dishonest perception of the low end. The Mackie HR824s have a Full, Half, and Quarter room setting, that allows the speakers to adapt to the size of the room. You can also dial back the low end response from 35hz to 64hz. These speakers are a little more expensive at $400-600/speaker depending on the condition and model. However, they are a worthwhile long-term investment. Last but certainly not least are microphones. Some artists just need one, others need a variety. It depends on the music you’re making and the style of production. 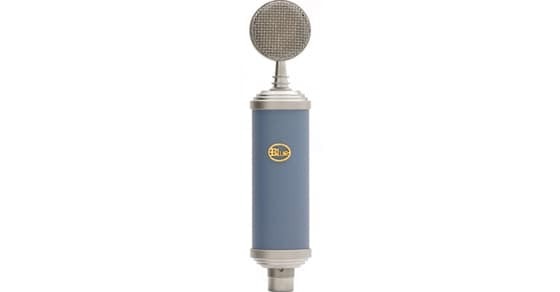 If you’re looking to buy just one microphone, let it be a large-diaphragm condenser mic. They are great for everything from vocals to guitar to drums, just make sure you get a good microphone stand if needed. Here are a couple of my top picks for a great general usage mic. This mic rocks. The Bluebird come is at a very reasonable $200, and works for everything. It sounds great on vocals. It sounds great for guitars. It makes a great omni/room mic on drums. Buy it. If you buy it new it comes with a nice shock mount and a pop filter. The Rode NTK has a recognizable clear sound. If you buy this mic, you’ll use it all the time. Many artists use it for rap vocals, but you can use it on everything. A little more expensive, it comes in at around $500. But it is well worth the investment. This mic is cheap and functional. The A T 2020 doesn’t sound like a million bucks because it only costs $120. It’s got a flat sound that works for both vocals and string instruments. I use this mic on drums as a “fat mic” as well, but its sound is very lo-fi. It’s a great mic and you can’t beat it for the price. Hopefully this gives you an idea of the gear you should be looking at when you’re setting up your home studio. Of course, everyone has different needs, so it’s important to buy the equipment that allows you to do your job to the best of your ability. At the same time, it can be freeing and inspiring to have to record with only very basic equipment. Embrace your limitations and make music with whatever gear you have!